Kashan is a historical city located in Isfahan province in the central part of Iran. The city is located near a mountain range and also is close to a desert; as such, the climate is quite unique in the city. Due to its proximity to Isfahan, which was the capital city of Iran for many years, Kashan was an important city for the kings as a place of recreations and also for the people as a center of commerce. 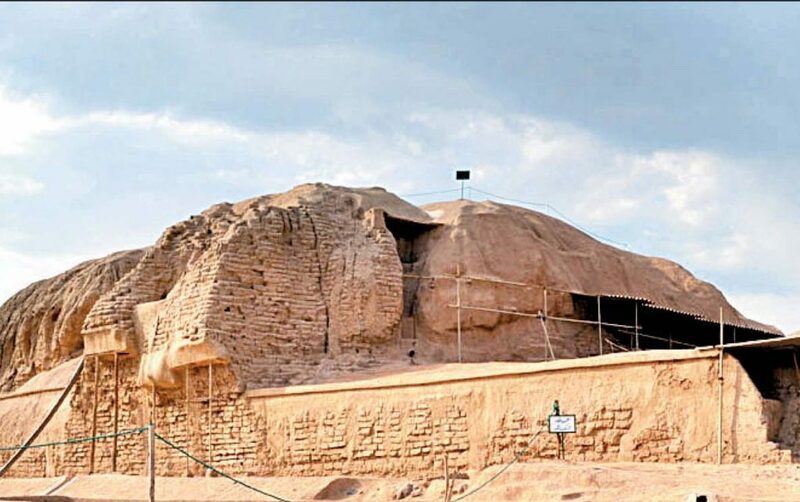 Historically, Sialk Hills is the most important archeological site near the city, usually among the first items to find on any Kashan travel guide. From a cultural point of view, Golabgiri ceremony, held every year, is the most noteworthy event in the city. Due to its unique climate, its proximity to Isfahan, and its importance as a historical city, Kashan is usually a prominent part of Iran tours. Also, the desert scenes near the city, especially the desert’s night sky, provide ample opportunities for those on Iran photography tours . 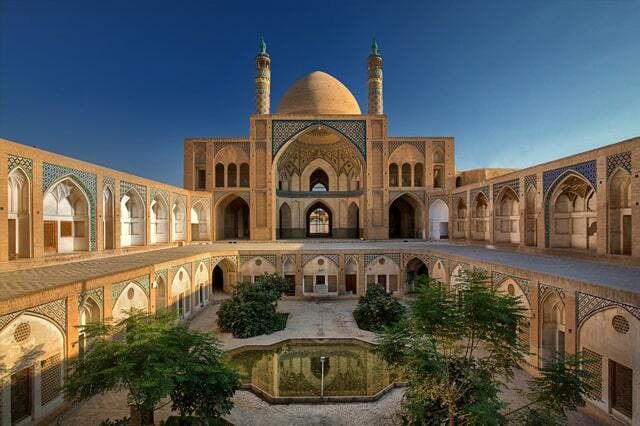 Kashan is one of the most suitable cities for Iran sightseeing tours and Iran cultural tours . Its innumerable historical sites, some of which are famous throughout the world, its importance as a cultural and commercial center throughout many centuries, and its awe-inspiring desert scenery have made Kashan one of Iran top tourist cities . While it is a traditional city at heart, Kashan bus map shows that the city is not devoid of modern conveniences, either. Most tourist destinations are located near bus stations which can be found everywhere around the city. Unfortunately, you would not be able to find a Kashan metro map because due to the city’s small size, the government has not found it necessary to equip the city with a metro network. Traffic is not much of a problem in Kashan, and since the distances you need to travel are not long, you can easily get to your destination on a bus or taking a taxi. 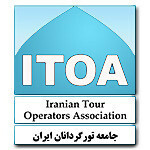 Like all other cities in Iran, many kinds of taxi services can be easily found in Kashan. You can either go to one of the taxi stations throughout the city, or call for a taxi from anywhere you are. Many taxi services are available 24/7, so someone will always be ready to pick you up should the need arise. If you have access to the Internet, you can easily call a taxi using a taxi app in Kashan. Many such apps exist, and no matter which one you choose, you will get a fast service at an affordable price. No matter what time of activity is your favorite, as your Kashan travel guide will also instruct you, you will have no trouble answering the question what to see in Kashan. If you are interested in culture and history, Sialk Hills and Fin Garden should be on the top of your list. In case relaxing in nature is more to your liking, you can enjoy the scenery and night sky in the Maranjab Desert near Kashan. 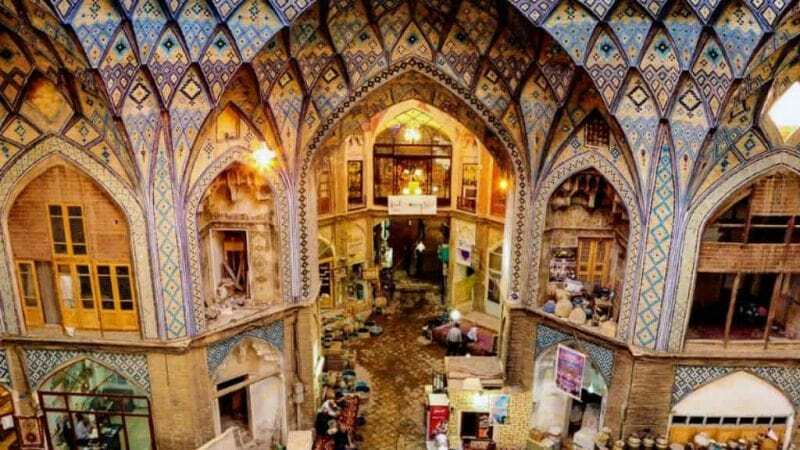 If you are in a shopping mood, visit Kashan magnificent Bazaar, where you can shop for a souvenir of Iran while enjoying the unique atmosphere of the complex. 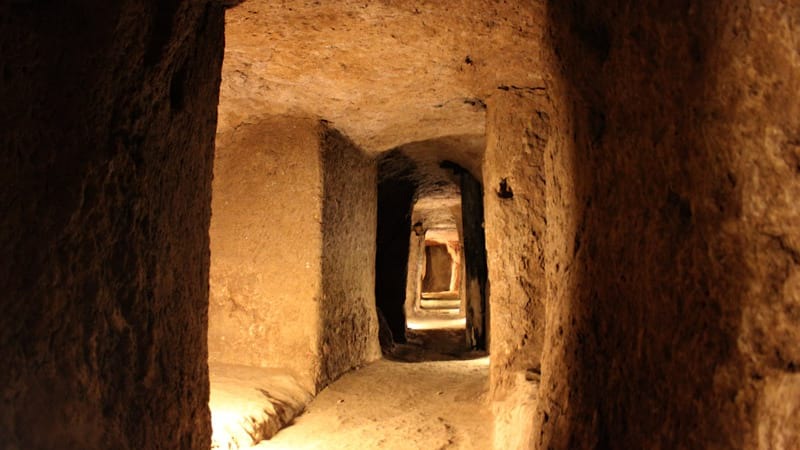 You can see on your Kashan travel guide that Sialk Hills Kashan Isfahan Province is located near the city of Kashan. 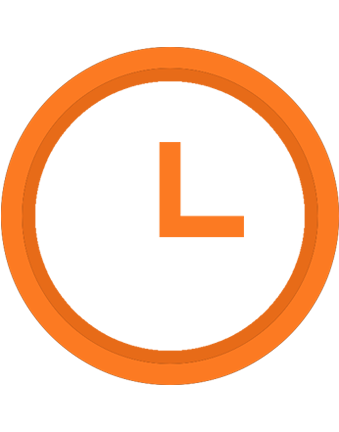 Remnants, including written documents, of a seven-thousand-year-old civilization have been found in this area. 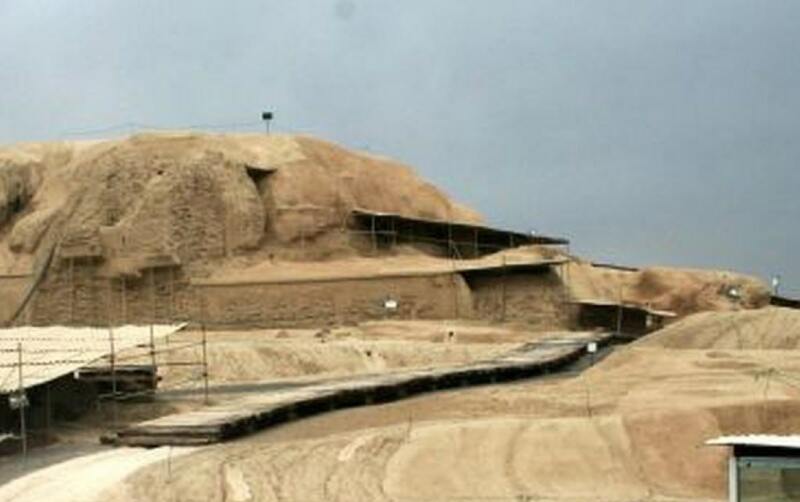 These were originally the site of ziggurat, which these ancient people had built as a place of worship. Pottery, weaving, and silversmithing were among the crafts already known to the people living at Sialk. Special ceremonies were used to bury the dead in peculiar positions. According to the result derived from a number of archeological excavations at this site, as many as six distinct cultural eras can be extinguished at Sialk Hills. 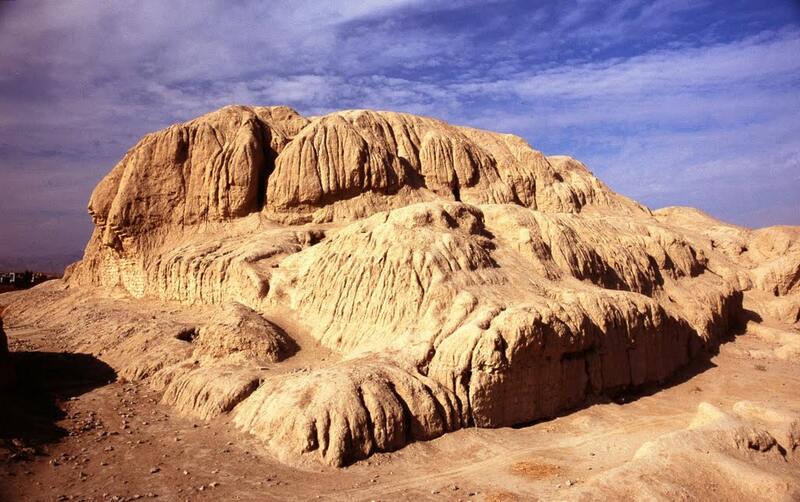 You may refer to your Kashan travel guide for more information on Sialk Hills. 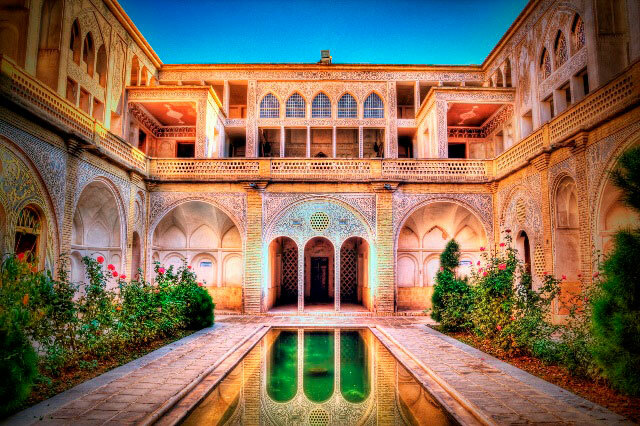 Tabatabei House in Kashan is one of the most beautiful examples of the Islamic architecture of the Qajar era. 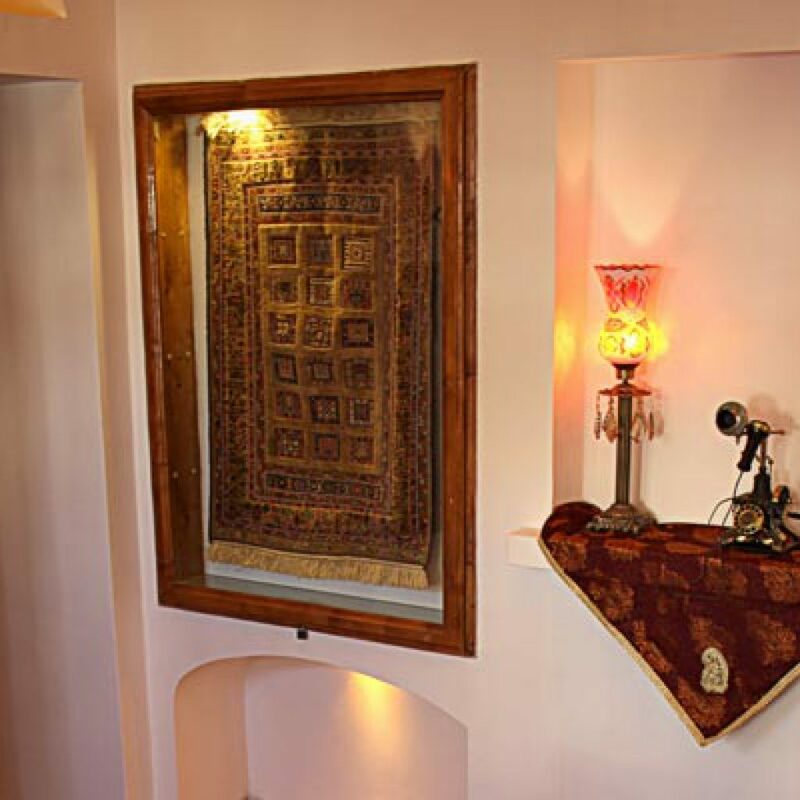 This house was built by a well-to-do merchant who lived in the city of Kashan over a century ago. The house’s magnificent stuccos, the beautiful stained-glass windows that have been used to decorate it, and its sheer size—at over 4500 m2—have earned it the title of “The Bride of Iranian Houses”. 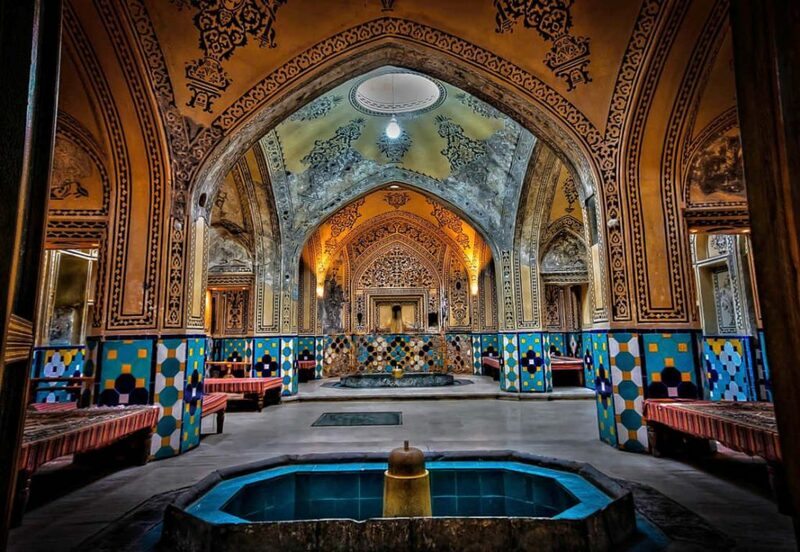 Hammam Sultan Amir Ahmad in Kashan is a beautiful bathhouse dating back to the Qajar Dynasty. 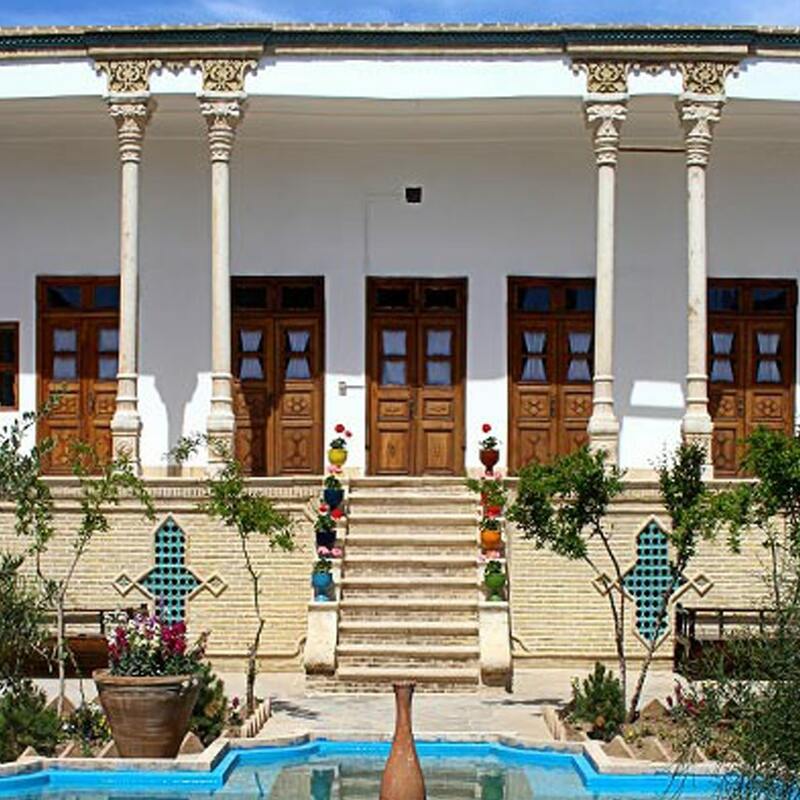 It is one of the best examples of a well-kept Iranian bathhouse where the architecture of such establishments can be examined in its entire glory. 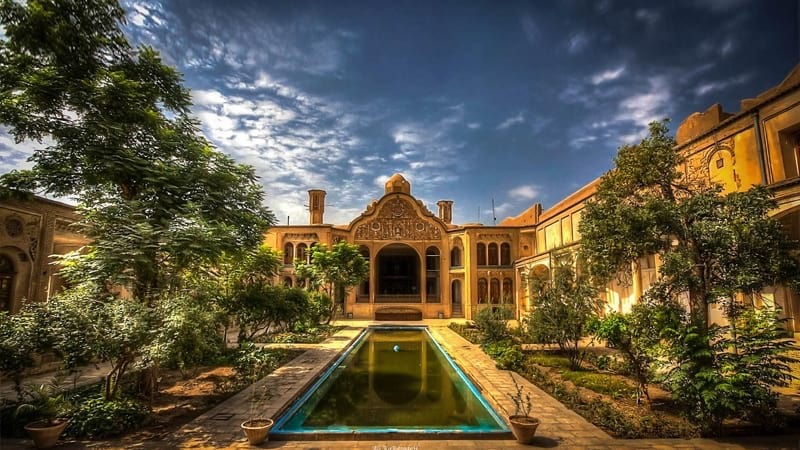 It is located in the historical part of Kashan and is quite easy to access for tourists; just follow the easy directions provided by your Kashan travel guide. Those on Iran photography tours usually make use of the building’s rooftop, which has a great view of the historical buildings around the Hammam. Another great example of the Qajar Dynasty architecture, Agha Bozorg Mosque Kashan Isfahan is, in fact, a complex of buildings consisting of a mosque with a school attached to it. One of the most conspicuous characteristics of the complex is its great dome constructed on eight columns. Such method of construction is a rarity among Iranian mosques. 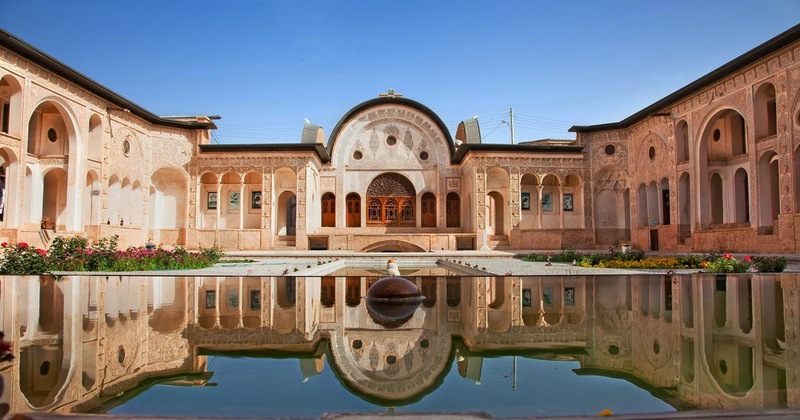 Famous for its intricate decoration and it artful architecture, Abbasian House is one of most beautiful houses from the Qajar Dynasty era which are still standing today. The house’s grand style, its peerless stuccos, and other decorations have made it a serious contender for the most beautiful house with Islamic-Iranian architecture. 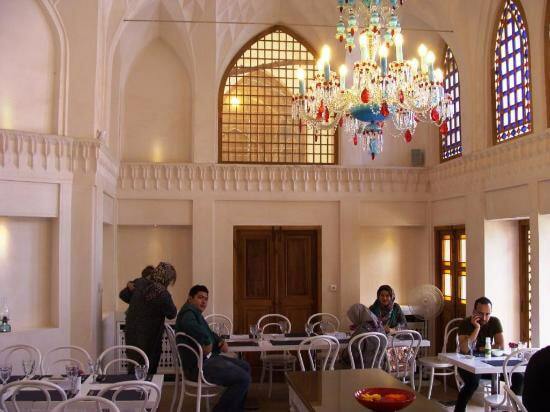 Whether you are looking for a traditional space where you can have your meals or a more modern atmosphere, the best restaurants in Kashan should have you covered. 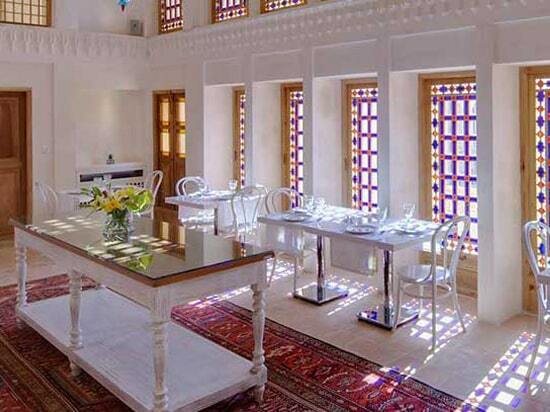 Most Kashan travel guides include addresses of both types of restaurants in the city. 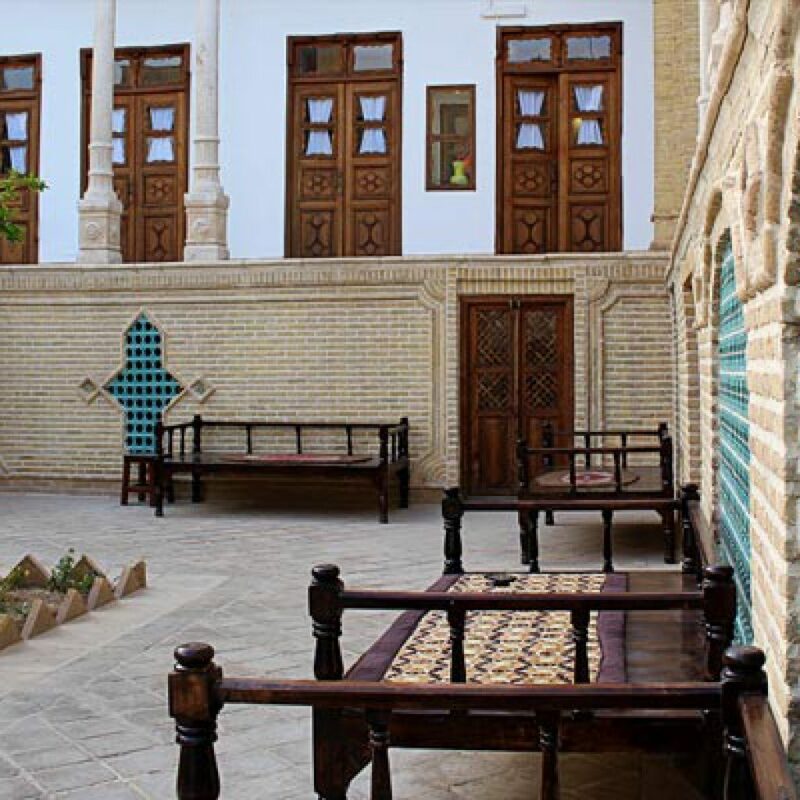 Located in one of the big courtyards of Abbasian House, Abbasi Restaurant will give you that unique Iranian traditional vibe with its beautiful decorations and its antique atmosphere. For a more contemporary space, look no further than Khatoun Restaurant, where you can find most traditional Iranian dishes as well as international ones. 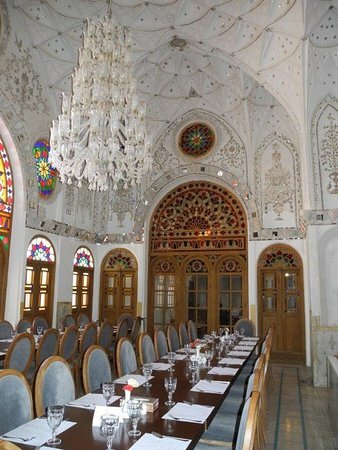 Some other well-known restaurants in the city are Mirrors Hall, Mozafari, Anar, Manouchehri, Yazdanpanah, and Khaneh Noghli. 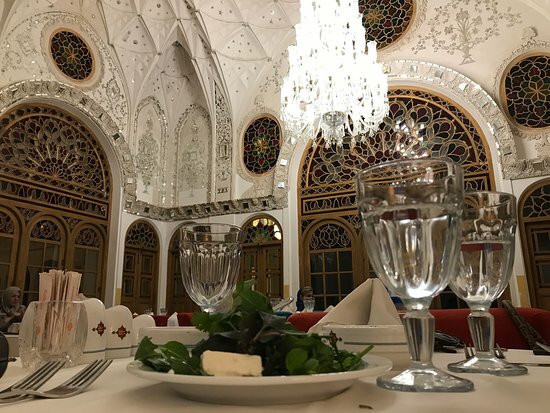 Located in a beautiful building dating back to the Qajar Dynasty era (which has been renovated and is used as a hotel these days), Manouchehri House Restaurant is sure to satisfy not only your gustatory but also your visual sense. 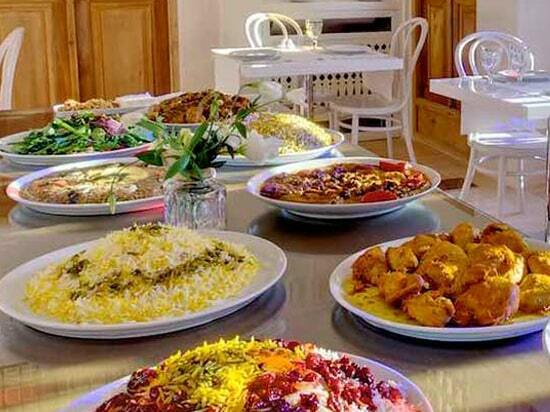 The menu includes many kinds of kebab, stews, and other traditional Iranian dishes. Mirrors Hall Restaurant Kashan is famous for its mirror prism decorations. 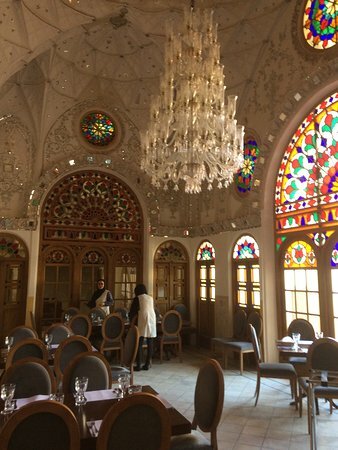 The restaurant is located in the old part of the city with a traditional atmosphere, which should be of great interest to tourists who travel Iran. The building where the restaurant is housed is of great historical value itself. You can take a tour of the house before or after your meal. 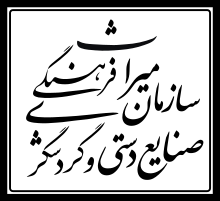 The best dishes served in the restaurant are Kashan’s local cuisines, namely navy bean stew, Koofteh Somagh, and Shefteh Bademjan. 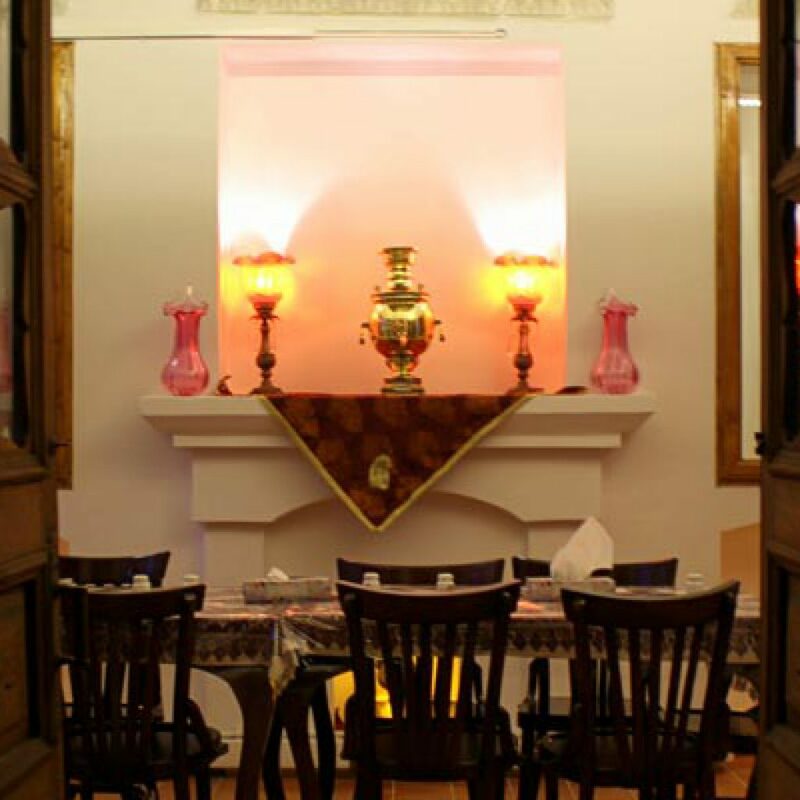 Yazdanpanah restaurant is located in a beautiful building dating back to the last days of the Qajar Dynasty. 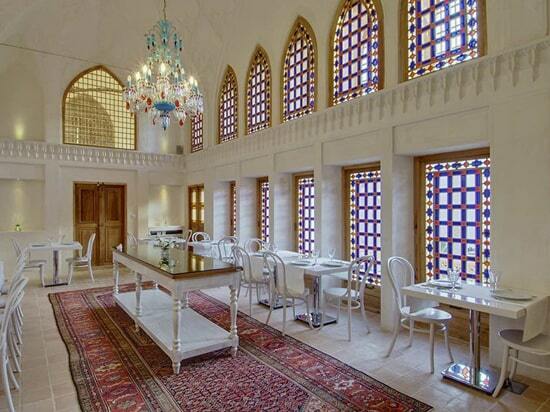 Here, the guests can enjoy Iranian traditional food while appreciating the fine features of Iranian architecture. Many of the hotels in Kashan City are in fact historical buildings themselves which have been renovated to make them suitable for guests. Many modern conveniences have been added to these traditional houses to make them comfortable. This contrast between old and new has created a unique atmosphere in many of these establishments. Some of the best-known hotels in Kashan City are Ameriha Hotel, Mahinestan Raheb Hotel, and Manouchehri Hotel. If you are out to do some shopping, you have a great number of shopping malls in Kashan to choose from, many of which should be listed on your Kashan travel guide. Depending on your preference and the kind of goods you want to buy, you can go to one of the modern shopping centers like Safavieh Mall and Shafagh Shopping Center, where you can shop for clothes that are in accordance with Iran dress code , or go to the city’s old bazaar, where you can enjoy the architecture while looking for a souvenir of Iran . Due to the strategic position of the city, Bazaar of Kashan has remained one of the most thriving centers of commerce in the region since its foundation during the Safavid Dynasty. 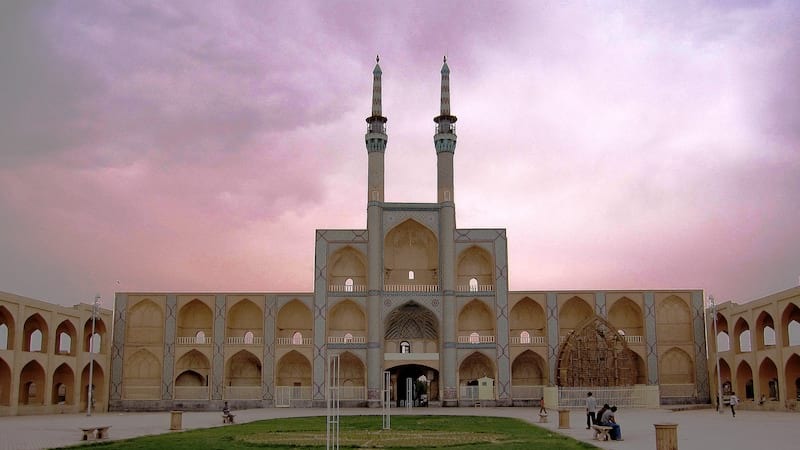 In addition to a great number of shops, the complex includes many facilities such as a water reservoir, a mosque, and caravanserais, all of which are beautiful examples of Islamic-Iranian architecture. 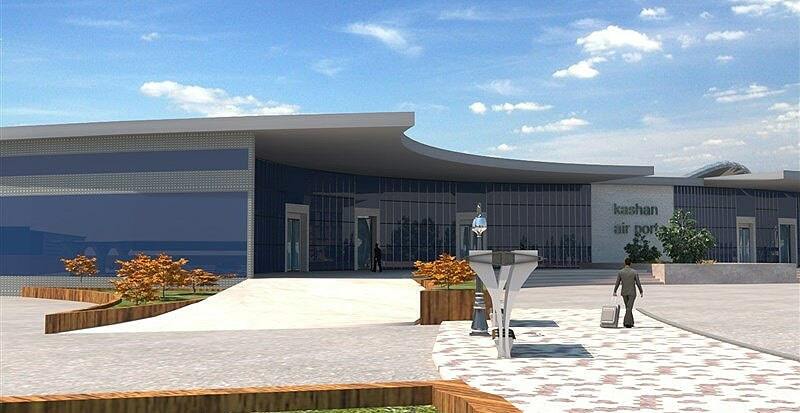 While there is no Kashan International Airport, the city makes use of a smaller airport for internal flights, which can be used by passengers who want to travel by planes. If you look at a road map Iran , you can see that Kashan is quite close to Isfahan where a sizable international airport is located, so having another international airport in the city would have been redundant.